FlamesRising.com is pleased to present you with an interview with David Petersen, the creator of the Mouse Guard graphic novel series. 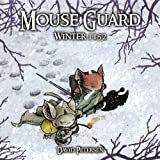 Published by Archaia Entertainment, Mouse Guard tells the story of a few brave mice dedicated to protecting their fellow mice from dangerous predators and other threats. The graphic novels are widely popular; just Last summer we learned that Mouse Guard: Winter 1152 hit the New York Times Best Seller List. Because of the comic’s popularity, Archaia Entertainment recently announced that Mouse Guard: Fall 1152 hardcover is going into a third printing. 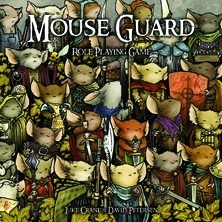 The series is also a big hit among hobby gamers, too, who enjoy playing the Mouse Guard RPG. We had the chance to ask David a few questions about the Mouse Guard series, including his upcoming Mouse Guard-related titles like Black Axe and Legends of the Guard. What was your first reaction when you heard that Winter 1152 was on the NYT Best Seller list? DAVID PETERSEN: I was dumbfounded. I had no idea that The New York Times had a subcategory for graphic novels, but I’m sure glad they do! I was at the Wizard World Chicago show last summer when I found out. I started getting text messages, voicemails and e-mails about being a “New York Times bestselling author.” I thought there must be some confusion… but it turned out to be true. I’m really proud of Winter 1152 as a book, so to see it rewarded and honored makes me happy. Of all the Mouse Guard characters you created, which one is your favorite and why? DAVID PETERSEN: While I have reasons for liking them all, Saxon has a soft spot in my heart. I modeled some of his character flaws on my own, and so I can sympathize with him when he screws up. Where any of the other characters inspired by or modeled after other people? 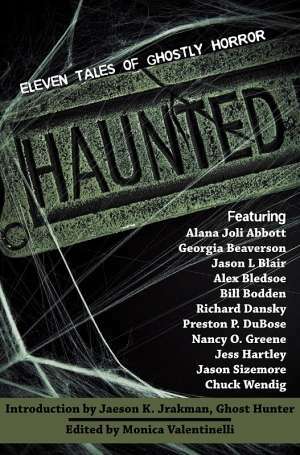 DAVID PETERSEN: Sure, several of the main characters. Kenzie is based on one of my oldest friends. He was best man in my wedding. The real-life inspiration for Rand also stood in my wedding. June, the inkeep at Barkstone, is based on my wife Julia, and I have made mouse counterparts for her two sisters in the Guard (Landra and Isabel). Which collection did you enjoy designing more? Fall 1152 or Winter 1152? DAVID PETERSEN: Winter. But only because I had Fall under my belt. We set a template with Fall. Before I did the Fall collection, I didn’t know what we would need as extras, or how many pages we had to fill. The “Common Mouse Trades” pages came up because we were two pages short. So with Winter, all of that was mapped out because of Fall. All I had to worry about was filling the spaces with relevant and fun extras. What experience did you have with RPGs before working on the Mouse Guard RPG? DAVID PETERSEN: I did a lot of roleplaying from middle school through college. Some Dungeons and Dragons, Shadowrun, Champions, Ninja Turtles, Robotech, GURPS and a bunch of no-system, free-form sessions (that I generally ran). So I knew what I liked and didn’t like in an RPG system. I also knew, through having tried to make up systems for fun or modify existing systems, that it’s a really hard thing to get right, so I was unqualified. Luke Crane and I had a few talks about systems and some game theory, but I let him do his thing in his own way and I’m glad I did. The system has won some RPG awards. How did the creative process with Luke Crane work? DAVID PETERSEN: It started with that discussion I mentioned where we talked theory. It was like a “highs and lows” of our experiences as players. I told him a few of my ideas for how to streamline aspects of a Mouse Guard RPG. A good example is: “Mice are small and can’t carry much, so instead of calculating weight, let’s just limit what they take with them to three items.” Luke took that and just made limited space on the character sheet for equipment, so it’s not nailed down to a set number, but ultimately has the same effect. After that, I just let him do what he does. He would bombard me with e-mails about how the Mouse Guard world functions: How does one become a Guard, what is such and such training like, what animals are predators limited to, how does money work, what do all these cities function like, etc. Every time I’d tackle a batch, he’d hit me with more. So I was there to make sure the system was as much like Mouse Guard and as true to the books as possible. Luke was there to turn that information all into a good game. How much research went into the world of Mouse Guard? DAVID PETERSEN: I try and make sure everything I draw or write feels believable and authentic. I’m not strict about the time period, though. A lot of that comes down to being “medieval” in general or picking something that has an aesthetic I like that could fit, even if it’s a century or three too late. I gave Luke some guidelines for the game, too, specifically things having to do with the environment being similar to Michigan. He took this very seriously and used three or four wildlife/plantlife/almanacs of Michigan to get information for the rules. How challenging was it to translate Mouse Guard from a comic to a game? DAVID PETERSEN: That was really more Luke’s job, but I know that as we went we did some things to deviate from the comics. Specifically, that characters in books tend to do amazing things and achieve great feats. You can’t allow players all those abilities in their path to greatness. So we capped some things that I know I will or already have broken in the comics…or that is to say, you can’t roleplay my stories to the letter. 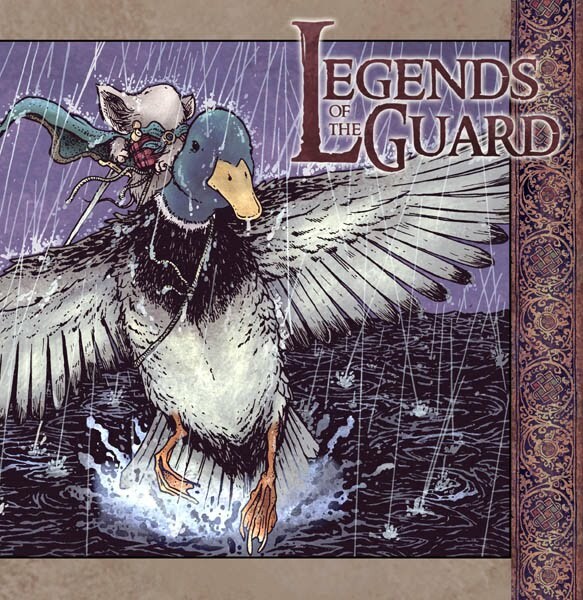 How did you select the creative teams that will be working on Legends of the Guard? DAVID PETERSEN: The project started with seeing Jeremy Bastian and Mark Smylie’s pinups for Fall 1152. I loved what they did so I told them they had free reign to do what they wanted in my Mouse Guard world. So those two were set from the start. I wanted to focus on individuals who are both writer and artist in one (like what I do), though we didn’t limit the scope to individuals only. The picking came down to seeing work of people I respect and admire and thinking, “They would do a nice Mouse Guard story, they get Mouse Guard.” Ted Naifeh just turned in some amazing pages that he wrote, drew and colored himself. Alex Sheikman, whom I know through Archaia because of his book Robotika, and I chatted about old folk tales before he started his nine pager. 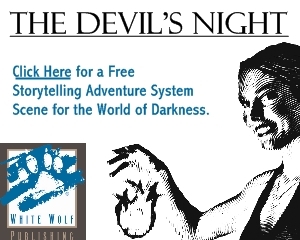 Any hints about the story we’ll get in Black Axe? DAVID PETERSEN: Celanawe will be led into a voyage across the northern sea off the map to a land no mouse remembers going to or coming back from. It will explore how Celanawe got the Axe and what he lost to get it. Can you tell us about some of the other projects you have in development? DAVID PETERSEN: I have a children’s book coming out from Harper Collins in a few years. The children’s book publishing schedule is very different from that of comics, so though the book is done, there are still a few years before it’s out. I’m also continuing to do covers for Boom’s Muppet fairy tales, but Mouse Guard will always be my main focus. 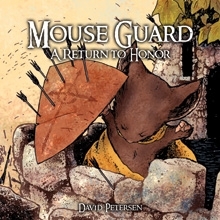 Visit MouseGuard.net or Archaia.com for more information about the Mouse Guard comics and other projects.